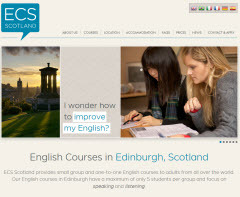 ECS SCOTLAND is an independent, family-run school of English located in the centre of Edinburgh. 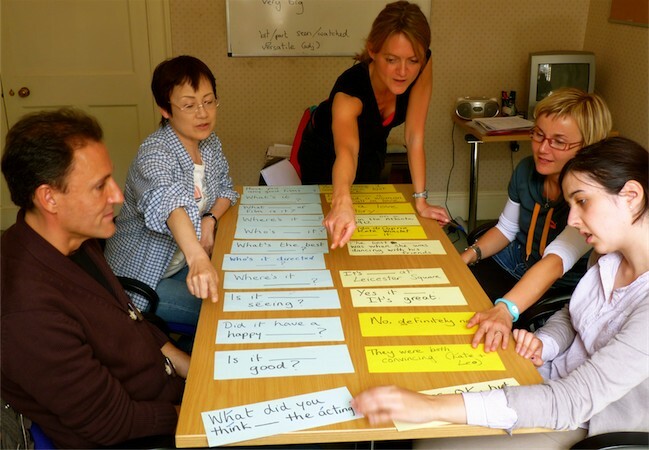 ECS Scotland specialises in intensive one-to-one and small group courses for professional people who need to communicate well in English for work or study. All courses focus primarily on developing speaking and listening skills, although reading and writing skills and exam preparation is also covered in class. Courses are available throughout the year and at all levels, from beginner to advanced. ECS Scotland's commitment to effective and efficient language learning guarantees that 5 is the maximum number of students in a group and all courses focus on the individual desires and needs of our students. Small group courses are ideal for those students who want to maximise the limited amount of time they have available for English language study. 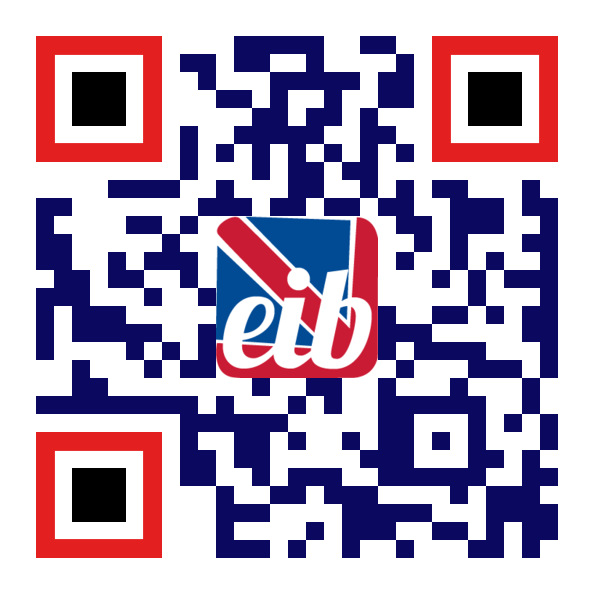 It is possible to study general, business, academic and specialist English. 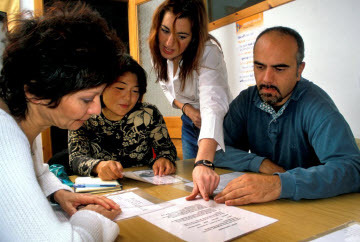 Classroom-based language training is combined with professional and weekly cultural visits outside the classroom and all teaching is carried out by experienced and qualified teachers using a range of up-to-date resources and techniques. Students are also encouraged to make use of the self-study area in their free time to consolidate what they have learned in class or to prepare for international examinations such as FCE, CAE, IELTS or TOLES. Homestay accommodation is arranged for students in hospitable families in comfortable, conveniently located homes, which is the best way to ensure students make the most of their time using English. Flats, hotels and guest houses can be recommended on request. ECS Scotland is committed to providing quality language learning and rich cultural experience to all its students. Read our blog for student experiences and extra information about things to do in Edinburgh and Scotland.